We hope you'll join in! Until then, keep writing, keep illustrating, and know you have a community here for you! With a tribute video, a song, a cake, and one smart pair of birthday sunglasses, we all celebrate Jane Yolen! Tanusri Prasanna is an agent at Foundry Literary + Media representing children’s books, middle grade, and YA. Picture books are at the heart of her list. She's especially looking for author/illustrators. "The real debate on diversity needs to be on the gatekeeper level... We're really not doing nearly enough." 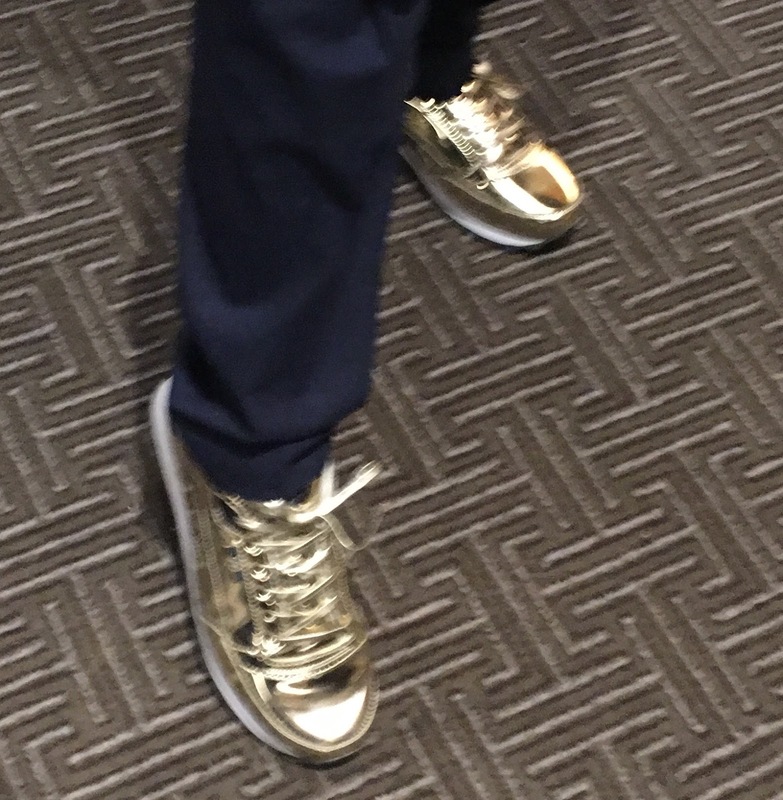 "If I love it, really love it, I feel confident that I can sell it." "It really helps, at the agent level, to say 'don't try to write to trends... write what you're bursting to write.'" Everything that you're writing in a year isn't going to be pearls. 'I have this amazing book coming out, what else do I want to have out there along with that?' Don't throw stuff out there because you're impatient. Be thoughtful about what you're submitting next. Alexander Slater is an agent at Trident Media Group — his own list focuses on YA and middle grade, graphic novels, and some picture books. Diversity is something we should be working on throughout the industry. Diversify who you're reading, and who you're critiquing with. 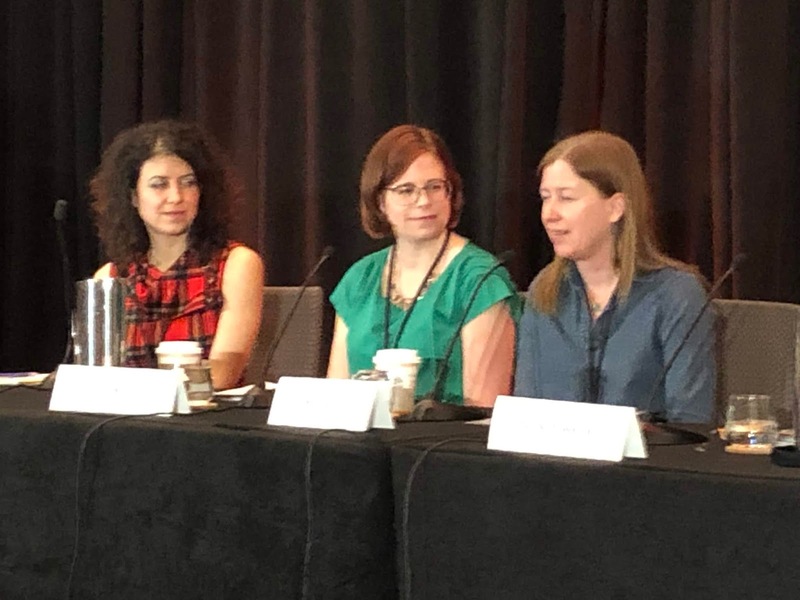 In response to a discussion about subscription boxes, "I always tell my clients, 'we need to come up with marketing ideas that don't cost the publisher anything'." Mekisha Telfer is an associate editor at Roaring Brook Press (Macmillian), where she is building a list of picture books, middle grade, and young adult novels. Her sweet spot is middle grade and YA. Roaring Brook has First Second as their sister imprint, and Mekisha echoes the panels' interest in graphic novels. "I just bought a graphic novel that was just a script, no illustrator attached." Something she wants to see more of is more novels about the LGBTQ experience. "There's still work on the diversity front to be done in the industry... Marginalized children are still under-represented." On having a "balanced list" - Mekisha speaks of passion being a driver of publishing (she doesn't have to acquire a book if she doesn't love it), and how that means that the more well-rounded your publishing staff, the more well-rounded your list will be. The panel covers creative trends (what editors are interested in right now), diversity, #ownvoices, financial/marketplace trends, what happens in acquisitions meetings, "quieter" books, how to decide what to work on next, their best advice for those just starting out and those already published, and so much more! Maria Barbo is a senior editor at Harper Collins . Kate Egan is editorial director of KCP Loft, the YA imprint of Kids Can Press. Q: What are some relevant trends and topics right now? 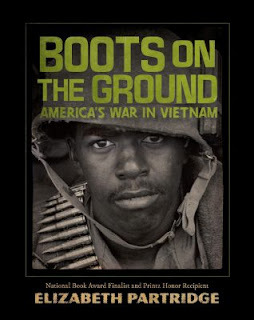 Ekstrom: There's more interest in nonfiction MG and YA, in books that discuss important topics in a non-didactic way. I recommend reading the article in Bustle on the experiences of Black women in the publishing industry. 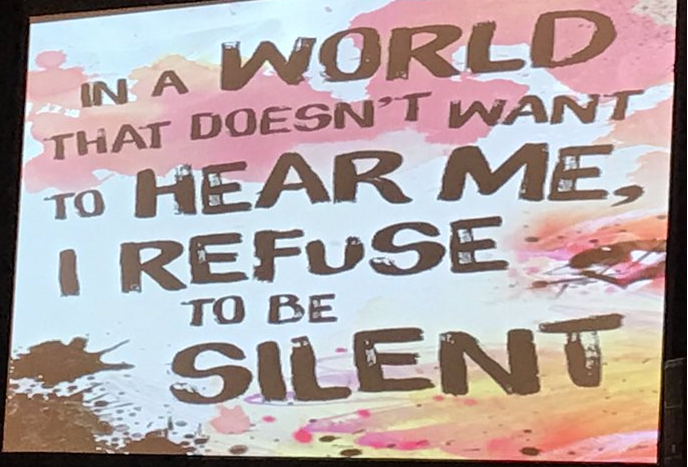 Q: How do you feel about the Own Voices movement? Ekstrom: Everyone [throughout the industry] can do better to support creators from diverse communities. I'm getting lots of interesting submissions inspired by non-western European stories and they're really exciting. Q: How are institutional markets doing? Egan: Schools and libraries are essential. 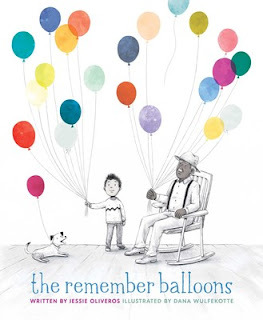 Often it's the teachers and librarians who make the connection between books and kids. When I edit, I think a lot about how librarians will amplify the voice of the book. Q: What is your acquisitions process like? Barbo: At HarperCollins, the process is very formal and one of the most corporate. Our meetings include the heads of marketing, sales and publicity, the business manager, and the head of the art department. Editors come in and pitch their projects We talk about the market for the book. The advantage is that you can get everyone on board from the get-go. Q: What are you seeing in marketing? Ekstein: We're seeing more creativity in getting books out there--via subscription boxes, for example. Target and Barnes and Noble are great, but the independent bookstores are the mainstay of bookselling. Q: Can you describe the subscription box program? Ekstein: Basically it's the same model used in other industries--beauty samples, for example, or what was formerly used with records and CDs. You get a box with a theme. It's a subscription model, so it's reoccurring revenue. It's a box of hand-selected books, sometimes with other gifts. Dhonielle Clayton di a whole box around The Belles, which included candles and lip gloss. Q: How do you handle submissions of "quieter books? Egan: It can be discouraging at an acquisitions meeting if colleagues do not share [the editor's] vision and there is a testy conversation. Everyone wants a best seller, although everyone [at the publisher] understands that not every book will be a best-seller. I make a point of not dismissing quiet books because sometimes they are the sleeper hits with a long life on a backlist because quiet people like to read. Barbo: It's too quiet, it means that it lacks a strong voice and high-caliber writing. Sometime that comment means that other elements of the story weren't there. Q: There's a belief right now that it helps to have a recognizable brand. Can you comment--what are the pitfalls and advantages of having an overall brand as opposed to focusing on individual works? Barbo: Its about authenticity. If it's forced, everyone will know. Eckstein: As former publicist, I often see too much emphasis on branding too early. Get the book written and published first. It's not too early to make connections--it's like a farmer planting seeds for a future harvest. Be an active community member--offer help, get involved. That way when later, when you need a blurb, you get you can ask people because you know them. Think of the connections and groundwork. You don't have to have a logo and color scheme. Q: People have to make decisions what to write/illustrate next--there's the project in your head and there's the projects that might make career sense. Do you have any advice on how to reconcile the different impulses or directions? Barbo: It's helpful to think about what your book is about. Craft that 25 second pitch. Think about what makes your work special and explain it in a sentence. If it excites you and excites strangers (not family and friends, they love everything you do), then that's a project you should be pursuing. Q: Can you give a single piece of advice to aspiring pre-published on their career path? Egan: I can't emphasis enough: focus on your manuscript, but above all, focus on your reader, whether it's spending time with children, reading more of their writing and understanding what [books] they don't have yet. Eckstein: Get comfortable with feedback, get comfortable with no. I thought I had a think skin, but my first rejection as an agent felt like a punch to the face. It's really hard, but see it as a gift and get back on the horse again. Hopefully with each project, you'll be growing. Barbo: Manage your expectations for your career. Decide what your own vision for success is. Set yourself up for success by connecting with your own reader. Q: Can you recommend one book that you published or read this past year that really inspired you? Barbo: The Owl Diaries by Rebecca Elliott is a chapter-book series about an owl that does DYI projects. They're friendship stories that spark positivity. Eckstein: The Belles by Dhonielle Clayton. I was so immersed in the world and there were really interesting themes. It has great world-building. Five Feet Apart by Rachel Lippencott is a real tear-jerker. This is a good encapsulation of what I'm interested in. Egan: I feel funny plugging one of my own books, but The Center of the Universe by Ria Voros is the kind of book that I've always aspired to publish. It was met with skepticism at the acquisition meeting--it's a quiet book about a girl aspires to be an astrophysicist. Daughter and mother don't have many things in common and then the mother disappears. It's so rich and I'm so proud of it. Lin introduces (right to left): Laurie Miller, Sarah Diamond, Jessica Costello, Bonnie Bader, Sarah Baker, Kim Turissi, Tammy Brown, Brandon Clarke, and Joshua Smith. And they receive a standing ovation! 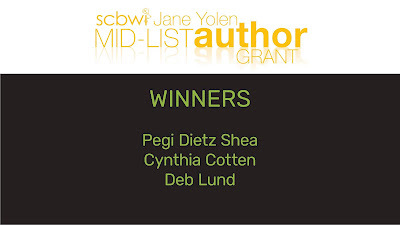 Congratulations, Pegi Dietz Shea, Cynthia Cotten, and Deb Lund! 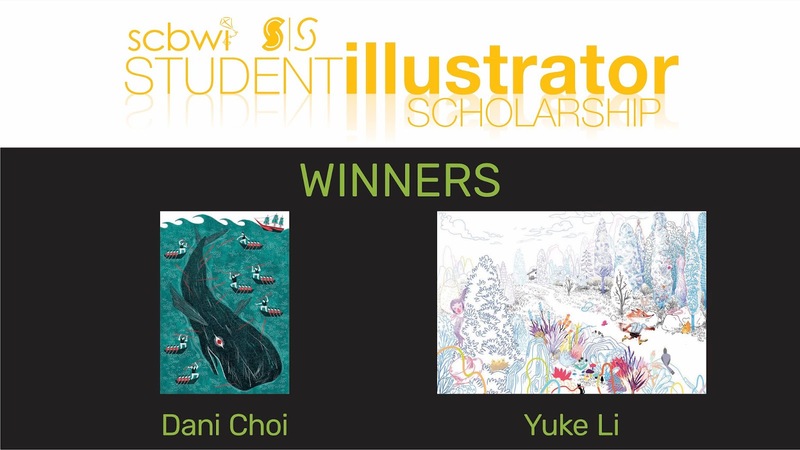 Congratulations, Dani Choi and Yuke Li! 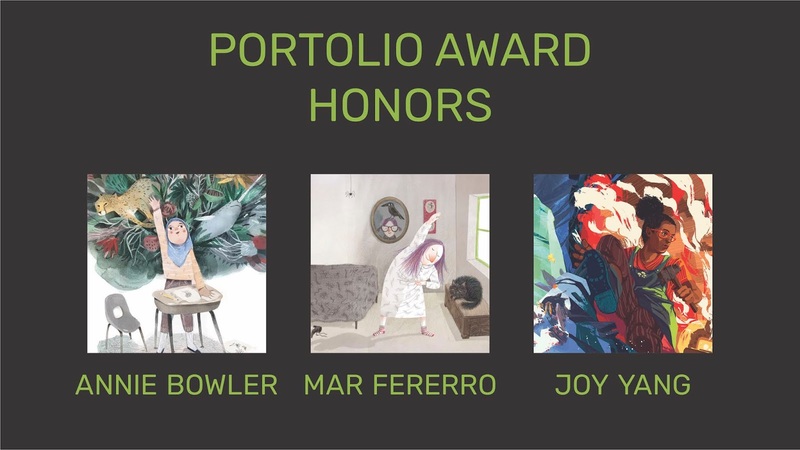 Congratulations, Annie Bowler, Mar Fererro, and Joy Yang! Cheers to all who entered these contests, and applause all around! One of six different optional Saturday night events at the conference, the LGBTQ + Allies social is a gathering of a tribe within the tribe. Our special guests included Jane Yolen, Heidi Stemple, Lesléa Newman, Arthur A. Levine, and Laurent Linn. Sunita is the half-Indian, half-Hungarian child of immigrants. She has lived and traveled in Asia, Europe, South America, and Africa. Born and raised in the southern United States, she grew up never seeing herself reflected in the books she read. 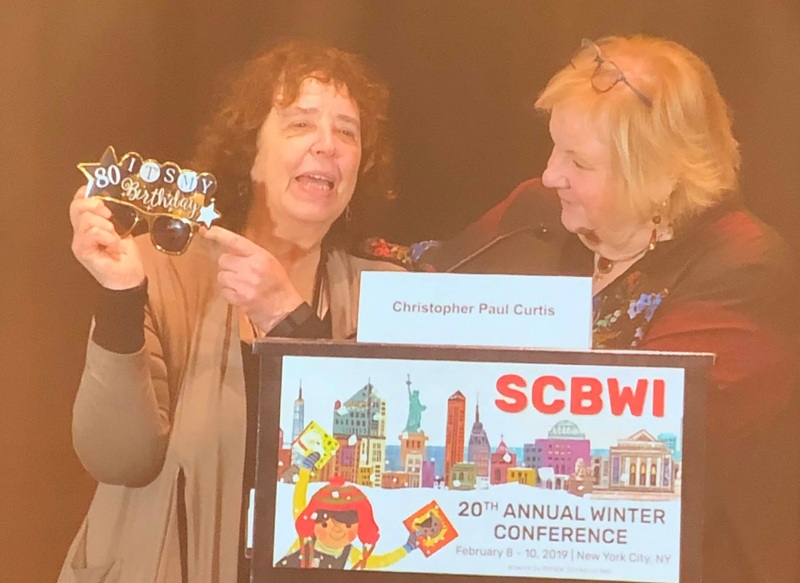 To help rectify this state of affairs, she has spent 30 years in publishing, working to create inclusive, compelling material for children and young adults. Linda graduated from Cornell with a B.S. in Communication and has seen many sides of the industry. She’s held various positions at Penguin Random House, Simon and Schuster, Writers House literary agency, and Prospect Agency. She’s done everything from foreign rights to editorial to marketing to operations, and somewhere in between all that (and little sleep), Linda received her MFA in creative writing from the Vermont College of Fine Arts. Now an agent at Gallt & Zacker Literary, she’s seeking middle grade, young adult, and adult fiction across all genres (particularly upmarket and women’s fiction/romance); also seeking select picture book and graphic novel writer-illustrators. Diversity of all types welcome! Adriana has 20 years of experience in publishing. Prior to becoming an agent, she was Executive Editor at HarperCollins Children’s Books, where she managed the children’s division of the Rayo imprint. Before that, she was Children’s Reviews Editor at Críticas magazine, published by Library Journal. Adriana has performed editorial work for both children and adult publishers. 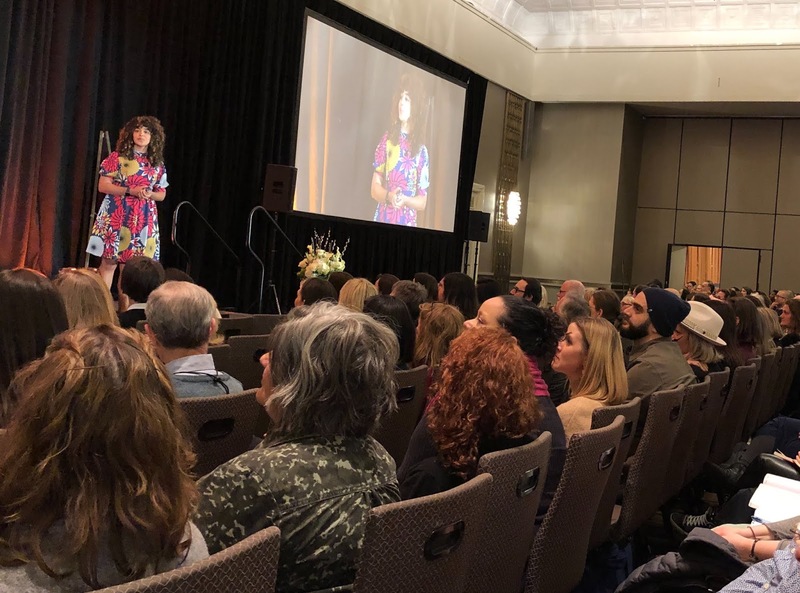 She is also a professional translator, a member of the Brooklyn Literary Council that organizes the Brooklyn Book Festival, and one of the founders of the Comadres and Compadres Writers Conference in New York City. Adriana is based in New York. Andrew Eliopulos (né Harwell) is an executive editor at HarperCollins Children’s Books, focusing on middle grade, YA, and graphic novels. 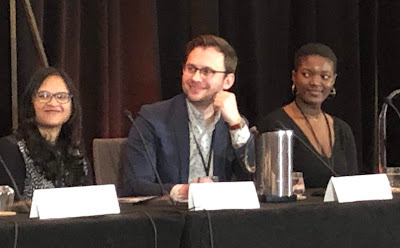 He is honored to work with such authors and illustrators as Noelle Stevenson, the New York Times best-selling author-illustrator of the Eisner Award-winning and National Book Award finalist title Nimona; Adam Silvera, New York Times best-selling author of the ALA Rainbow List Top 10 title, They Both Die at the End; Madeleine Roux, New York Times best-selling author of the Asylum series; Jimmy Cajoleas, author of the Southern Book Prize finalist title, Goldeline; Ethan M. Aldridge, author-illustrator of Estranged; Jerry Craft, author-illustrator of New Kid; Amie Kaufman, author of the Elementals middle grade series; and more. Andrew was named the 2016 Publishers Weekly Star Watch Superstar, and he is a member of the judging committee for the We Need Diverse Books Walter Grants. Barry began his career in publishing in 1989, and opened his eponymous literary agency in September 2000. He represents everything from picture books to adult fantasy & science fiction. 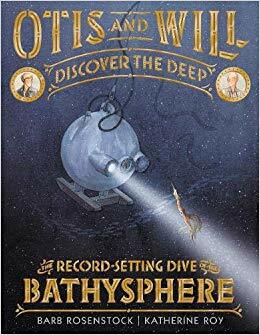 His clients include many bestselling and award winning authors, including Libba Bray (to whom he is also happily married), Angela Johnson, Kate Milford, Christopher Barzak, Tobias Buckell, Fran Wilde and Genevieve Valentine. Wendi started her career as an intern at Sanford J. Greenburger Associates and continued working there as a literary assistant after graduation. 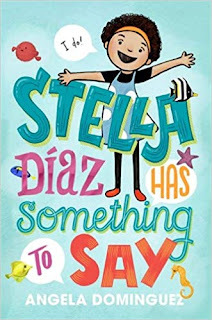 She soon began representing her own fiction and nonfiction picture books, middle grade, and young adult titles with a special interest in girl power, family relationships, and the immigrant experience. For illustration, she enjoys elegant and eclectic color palettes and looks for nuanced character expression and dynamic composition. Emily joined Fuse Literary in 2013. Previously she worked at the L. Perkins Agency as a contracts manager and associate agent. Before entering the world of agenting, she worked in the contracts department of Simon & Schuster, Inc where she handled copyright, reversion of rights and assisted with author contracts. In 2008, she graduated from New York University’s Center for Publishing. She uses her knowledge of contracts, copyright and the publishing business to benefit her clients and the Fuse team. Elizabeth is an editorial assistant at Farrar, Straus and Giroux Books for Young Readers. Arthur has been a children's book publisher and editor for twenty-five years. Arthur A. Levine Books launched in 1997. The first book published was Norma Fox Mazer's outstanding novel When She Was Good. In terms of writing quality, this set a very high standard for their novelists, but Arthur is proud of the group that he's gathered together. They include literary stars like Carolyn Coman, Francisco Stork, Lisa Yee, Bobbie Pyron, Jaclyn Moriarty, and of course, J. K. Rowling, as well as fabulous newcomers like Mike Jung, Martha Brockenbrough, and Alaya Dawn Johnson. Mr. Levine lives in New Jersey with his family. 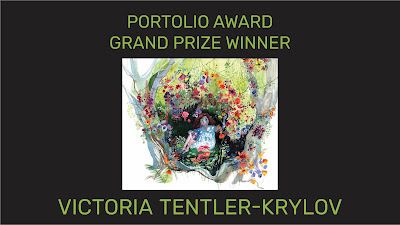 Laurent collaborates on picture books, middle grade, and teen novels with both celebrated and new illustrators such as Tomie dePaola, Vashti Harrison, and Raúl Colón. He is also the author/illustrator of the critically acclaimed young adult novel Draw the Line. 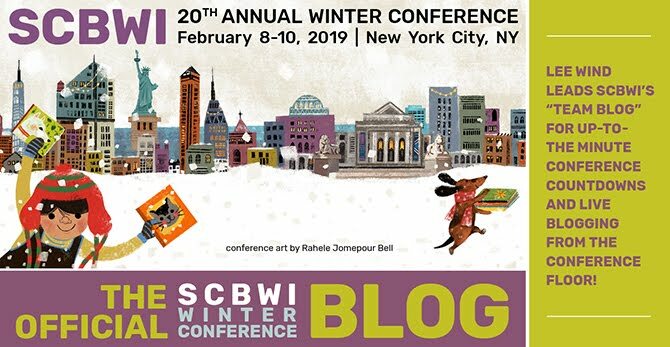 Laurent is on the SCBWI Board of Advisors and is the artistic advisor for the annual Original Art exhibit at the Society of Illustrators in New York. Laurent began his career as a puppet designer/builder in Jim Henson’s Muppet Workshop, creating characters for productions including the Muppet Christmas Carol and Muppet Treasure Island films. He eventually became the creative director for the Sesame Street Muppets, winning an Emmy Award. Erin Murphy was born and raised in Arizona, and founded EMLA in 1999. She cut her teeth in regional publishing at Northland Publishing/Rising Moon Books for Young Readers, a beloved decades-old Flagstaff company that was bought out in 2007, where she was editor-in-chief. As founder of EMLA she has focused not just on publishing books, but on building careers—and creating a sense of community, as well. 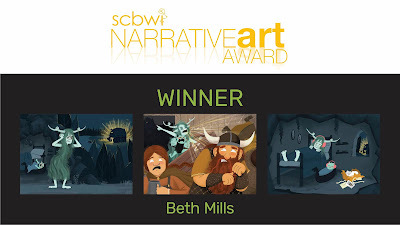 Erin represents writers and writer-illustrators of picture books, novels for middle-graders and young adults, and strong nonfiction. Her favorite reads feel timeless, have strong voices, and express unique creative visions. 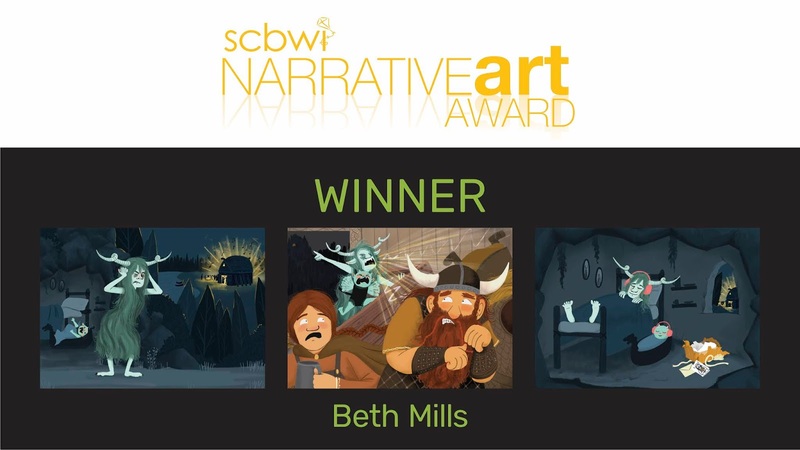 Because of her full client list, she rarely signs new writers or illustrators, but she is particularly interested in adding cultural diversity to her client list. In addition to reading, her interests include traveling, knitting, walking, kayaking, watching movies, and figuring out How People Work. Alex has been working in publishing for over a decade. Formerly an Editor at Paula Wiseman Books/Simon & Schuster Books for Young Readers, she specializes in young picture books, middle-grade fiction, and young adult. 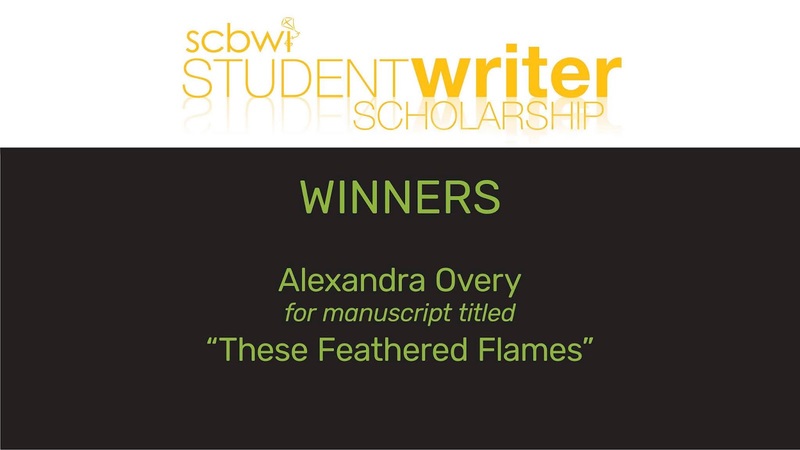 Prior to becoming an editor, Alexandra was a children’s book publicist. She worked on media campaigns that appeared in USA Today, Newsweek, US News and World Report, and NPR’s All Things Considered. She’s the co-author of New York a la Cart: Recipes and Stories from the Big Apple’s Best Food Trucks and the author of Eat, Sleep, Poop, illustrated by Jane Massey and We Are Brothers, We Are Friends, illustrated by Eda Kaban as well as three forthcoming picture books, for more on Alexandra’s books visit her website. 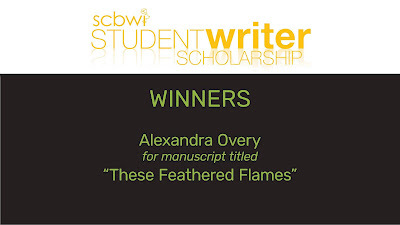 Alexandra is looking to take on select lifestyle and cooking projects in addition to children’s books. Rubin is the founder of Rubin Pfeffer Content, LLC, a literary agency focused on children’s content, representing industry luminaries, award winners, and exciting new talents. Previously, Rubin served as president and publisher of Harcourt Brace Jovanovich Trade, working with world-renowned writers and illustrators of adult and children’s literature. As SVP and chief creative officer of Pearson, Inc., Pfeffer coordinated programs between Penguin and Pearson’s educational products and services. Later, he joined Simon & Schuster as SVP and publisher of children’s books, overseeing such fine imprints as Simon & Schuster Books for Young Readers, Atheneum, McElderry Books, and the launching of Beach Lane Books. Matt Ringler is a senior editor at Scholastic specializing in chapter book, middle grade, and YA fiction. He works on the Goosebumps series by R.L. Stine, The Puppy Place series by Ellen Miles, and the Two Dogs in a Trench Coat series by Julie Falatko. His YA list include New York Times best-selling author Goldy Moldavsky’s Kill the Boy Band and No Good Deed, plus It’s Not Me, It’s You and The Date to Save by Stephanie Kate Strohm. Eileen Robinson has worked with children’s writers all over the world for over twenty years. 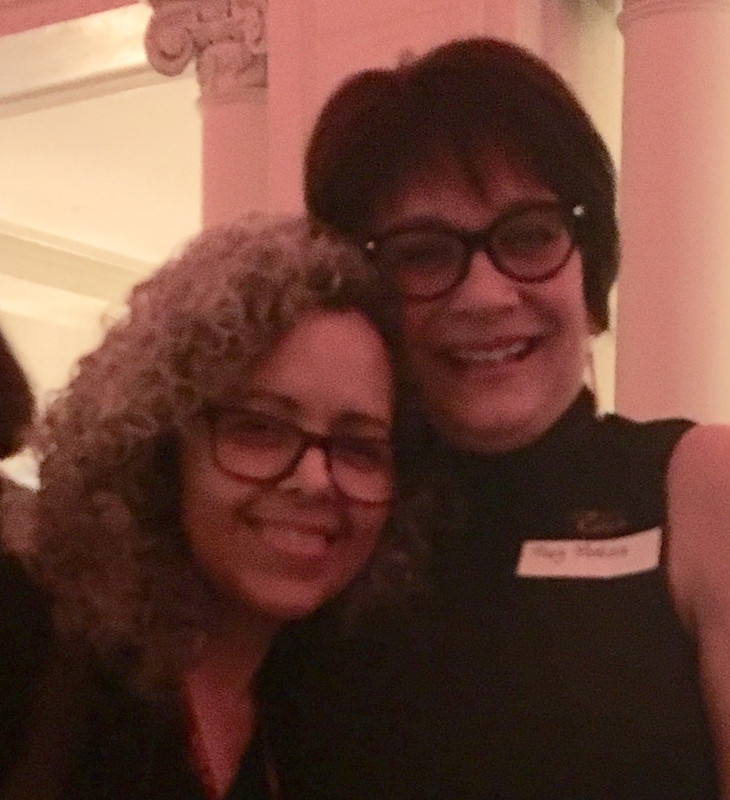 Former Executive Editor at Scholastic and Editorial Director at Harcourt, she has acquired published works from the U.K. and Italy, and created original works for U.S. markets. One of the very few African-Americans to own an imprint, she is the founder of Move Books and also teaches the art of revision through The Highlights Foundation and individual workshops. She serves on the Connecticut Digital Library Board and is an adjunct academic advisor for Rosemont College’s publishing program. Shelley is an assistant editor at Scholastic. Alex has been with Trident Media Group since 2010. 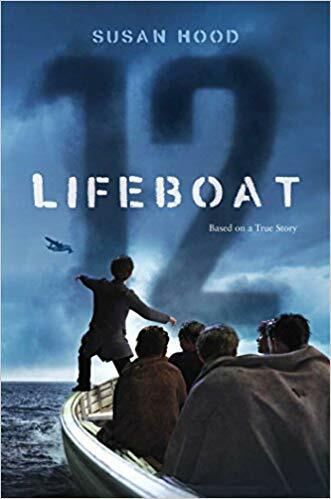 For many years he oversaw the foreign rights sales of all of Trident’s young adult and children’s projects, which includes the work of R.J. Palacio and Louis Sachar. Now with his own list, he’s kept his focus on YA and middle grade with an eye towards contemporary fiction, light fantasy, narrative nonfiction, and any work in general that expands the ideas of representation in children’s literature. Particularly, his manuscript wish list includes graphic novels, stories that blend genres, and historically underrepresented voices. Some of his clients today include Keah Brown, Jodi Kendall, Adam Perry, and SCBWI’s 2017 Emerging Voices Award Winner Anuradha D. Rajurkar. 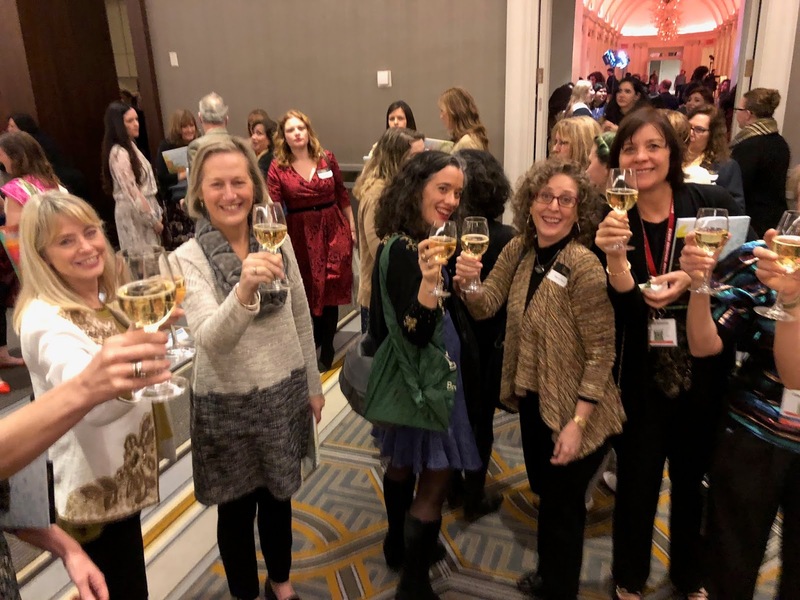 This year's Diversity Social featured a kind of professional speed-dating: attendees had a chance to meet and talk to agents and editors in a format that required every group to change every eight minutes. It was a little chaotic, but everyone got to meet a lot many of the more than 80 attendees. 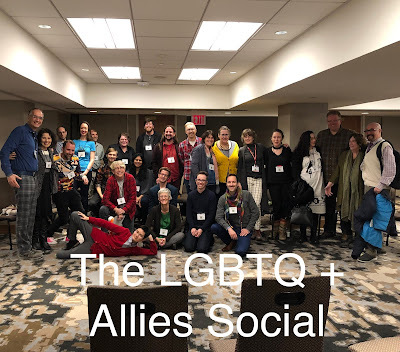 The social was supposed to end at 9 PM, but the room was still full of conversation, laughter and connection at 10 PM. Thanks to all of the agents and editors who spent the evening with us; special thanks to the published authors who came to give their support: Ibi Zoboi, Phil Stamper, Mark Oshiro, Emma Otheguy, Meg Medina (this year's Newberry Award-winner! ), Pat Cummings and Linda Sue Park. Your encouragement is everything! My mom and her friend, Mohammed the cab driver, delivered the snacks that I left at the door to my apartment. I'm so grateful to you! Elizabeth Acevedo doesn't stand behind a lectern. Elizabeth Acevedo doesn't wear a suit. Elizabeth Acevedo--National Book Award winner, Bela Pure Award winner, Boston Globe-Hornbook Award winner, New Yorker, hispanohablante, poet, author--came to talk about The Poet X and the power of representation. Acevedo spoke about being a Latinx woman in a world that doesn't always appreciate or want a world view. Her Ode to a Rat (watch or read) is at once a comment on the MFA program she attended, a world where some are told "that their stories are too small, too ugly" and yet "you are worthy of everything." "My entire life, I have had to read stories that were not about me. I had to find a way to put myself in stories." From her own search, from seeing her high-school students being unable to find themselves in books, came The Poet X, for the kids who were "not worthy of being the hero or the author," for "us girls who never saw ourselves on bookshelves." Acevedo understands, "not every reader is my reader, not every audience is my audience, not every critique is valid." Acevedo's own story about a letter she wrote to Angela Johnson about her novel, Heaven, is an amazing illustration of the power of writing and the direct effect that we as authors and creators can have on the lives of kids. Acevedo wanted to know more about a secondary character who was a teen father, so she wrote to Johnson. Johnson didn't write back, but it didn't matter--"It felt good." And although Johnson must have had the book in the works, two years later, when the book Acevedo had asked for was published, the dedication was to Acevedo and her class. "I was 12 years old the first time I saw my name in print. 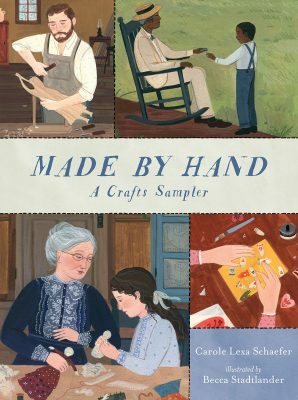 It affirmed the idea that I was good enough to be in a book." Acevedo told of her own student, Katherine, who didn't wasn't interested in reading, because she couldn't find herself in her book, and then couldn't find enough books. "What's next?" she asked. The Poet X is dedicated to Katherine. Acevedo writes for her, and all her former students, for the kids who needed to see themselves in a story. "This is why we do we work." Jarrett was first published at the age of twenty-three, and now has 39 published books to his credit. (40 in one month!) His titles include several picture books, his wildly popular Lunch Lady graphic novels, the Platypus Police Squad middle grade novels, and the latest Star Wars™: Jedi Academy books. 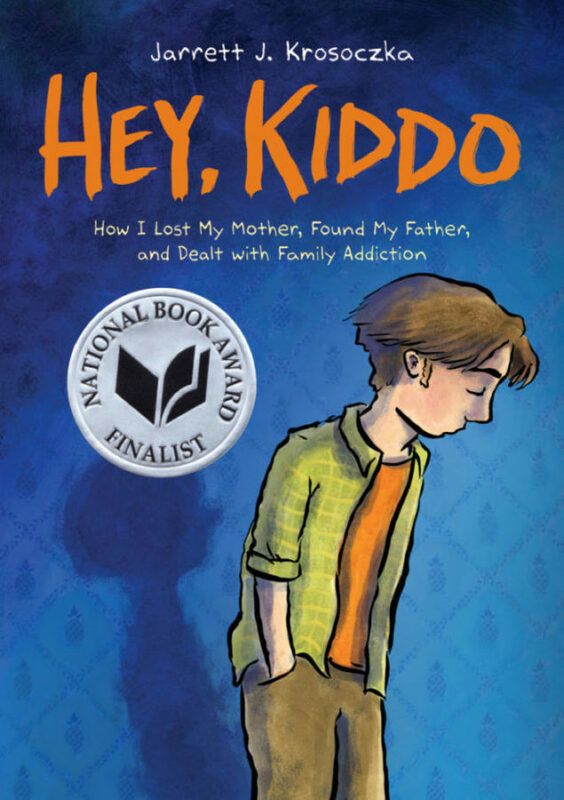 Jarrett shares his own story of growing up among family addiction in his young adult graphic memoir, Hey, Kiddo, (National Book Award Finalist). 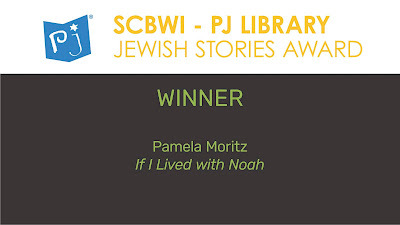 He is a two-time winner of the Children’s Choice Book Awards in the Third-to-Fourth-Grade-Book-of-the-Year category, and has been a finalist for the prestigious Will Eisner Comic Industry Award. Jarrett opens with sharing about his childhood, what he read, and even his very first book, that he wrote in third grade! A story that was told in words and pictures, "exactly what I do today." "The words and pictures both tell the story." "I just kept writing, because that's what I loved to do." His first break , an editor responded to a post card, and he got a contract for his first published book, Good Night, Monkey Boy. "What a privilege I have to be welcomed into the imaginations of young people. 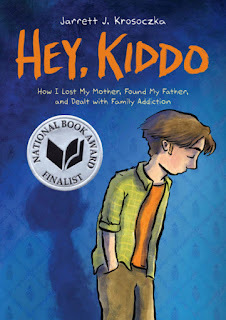 And what a responsibility I have..."
Jarrett explains about his last-minute TEDx talk, and how it went viral (viewed over a million times), mostly due to his honesty in the first moments about his mother's heroine addiction — how it resonated for so many young people he met touring for his other books. How he overcame the fears about writing this book, a memoir that was so different from his previous work. How, after the first draft, he realized he needed to be on the kid's side of the story - the angry teenager (that he was) side of the story. How he realized he needed to include his mother's story. It's an amazing, inspiring opening keynote, and ends with a standing ovation! There are 788 of us at this sold-out conference, with many hundreds on the waiting list. 240 attendees with published books. From 14 countries and 44 U.S. states, all bringing our own backgrounds and experience to children's publishing. Book Signing, Chocolate Covered Strawberries, More Time with the Illustrator Portfolios, and a Champagne Toast to Celebrate the Golden Kite Award Winners! What a finale to an amazing evening! 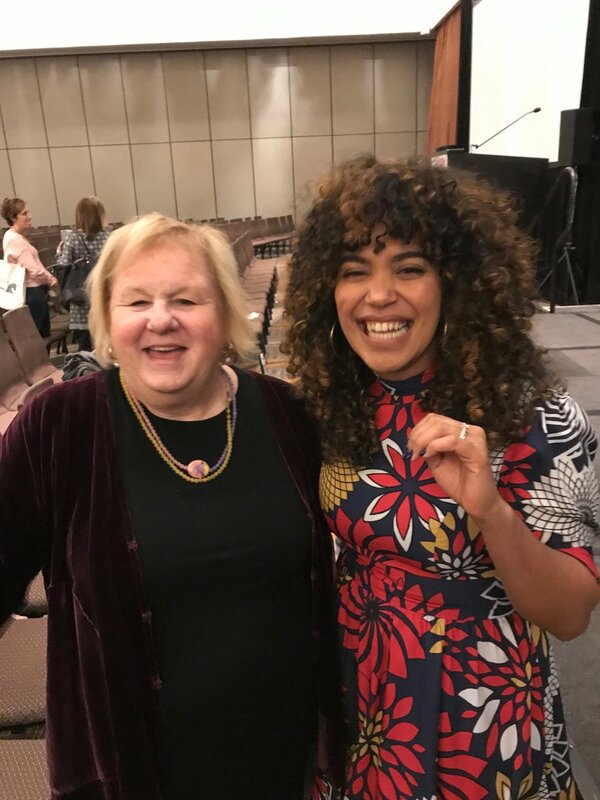 “That I should receive an award like this is beyond my wildest dreams... For many years, while trying to get published, I searched for the perfect story and the perfect way to tell it..." and she tells us that the inspiration for this story was in front of her—the Alzheimer's journey of her own grandfather. And then Jessie dedicates this award to her grandmother, and to all the caretakers for Alzheimer's patients dealing with their loved ones losing the balloons that hold their memories, too. 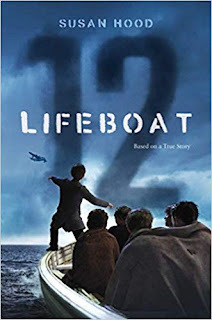 Because he was a reader, “13 year old Ken Sparks literally saved everyone on board...” Susan speaks of her decision to write her first middle grade novel as a historical fiction novel in verse, and says “I see all that white space as cushioning” for the hard stuff. “Sometimes these awards make you think that you're at your own funeral... [laughter] I checked... 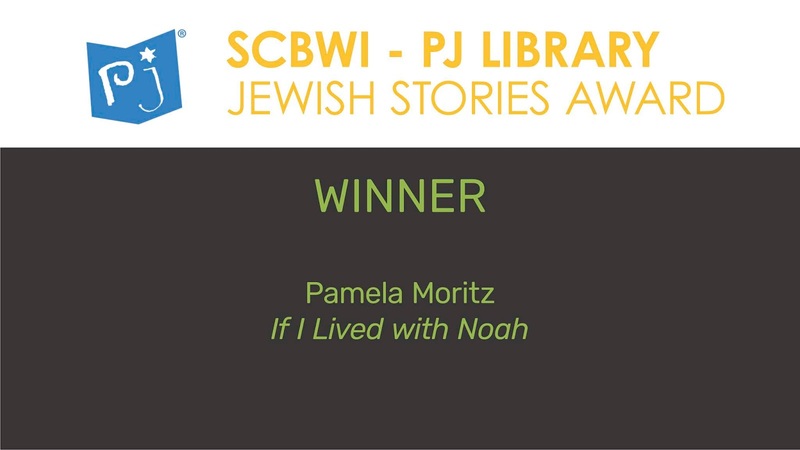 I had won the Golden Kite Awards [once before], back in 1975.” And with 365 books published, Jane tells us that this one was “Probably the most difficult book I've ever written.” Her third Holocaust novel, she considers why it took her four-and-a-half years to write. 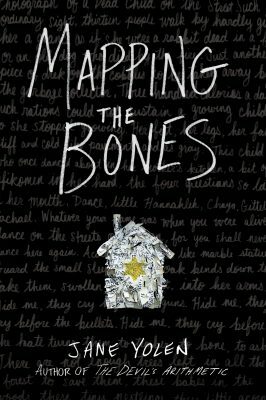 She tells us the many titles of the manuscript before it was finally named Mapping the Bones, a great title, and shares the lesson: “Bookmaking is collegial, not adversarial." Did people look great? Yes, they did. Did they have fun? Yes, they did. There is no hug like a Newberry hug from Meg Medina. 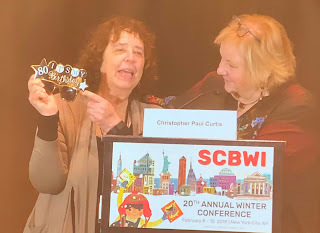 The SCBWI studio: The lights! The mikes! 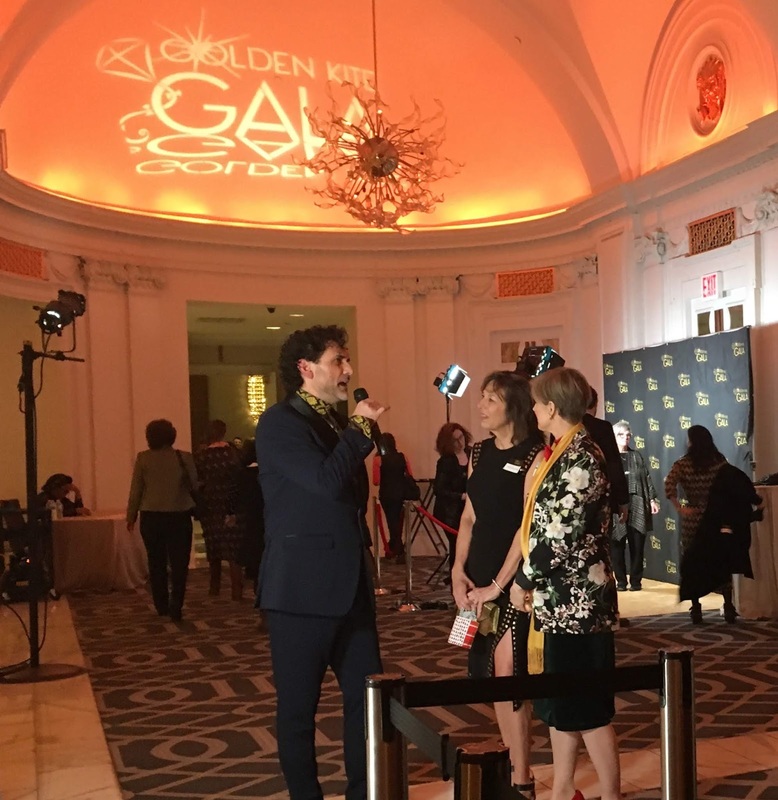 There were red carpet photos! Laurent Lin looked very snappy. People ate, drank, mixed, mingled. Next: Scenes from the Awards!